A most popular choice in upgrading your home! OC Carpet and More is proud to offer remodeling and flooring services to Orange County, CA and the surrounding counties of San Diego, Los Angeles, and Riverside. For over 20 years we have designed and remodeled kitchens and bathrooms, helped our customers choose new carpet and flooring, and installed everything involved in the project for improving their homes, commercial properties, and rental properties. Our team would be honored to work with you on your next project, so contact us today! While dreaming of your ideal kitchen design is probably the most fun part of a kitchen remodel, the most important part is planning. Our Orange County kitchen remodel experts can help you get your big ideas organized and present you with the best options to accomplish the look and functionality you desire. Maybe you don’t have an idea of what you want; you just know you don’t like the way your current kitchen looks and feels. No problem, our Orange County kitchen remodel professionals have great ideas and can show you some design elements you didn’t realize were possible. Call us today to schedule your free kitchen remodel consultation. Doing a complete home renovation? We also offer complete bathroom remodel services! Whether you are looking to remodel your entire kitchen or simply give it a facelift, choosing new cabinets is an important part of the process. The Orange County kitchen cabinet design and installation team at OC Carpet and More are experts in making your kitchen cabinets look fantastic in your space. You can choose to do a custom or semi-custom install for your new cabinets. This means you can have your new kitchen cabinets designed, built and installed, or you can choose pre-made kitchen cabinets available in a large assortment of styles, shapes, and sizes. Whichever option you choose, our Orange County kitchen cabinet specialists will make your kitchen look beautiful and function perfectly for your needs. Whatever kind of flooring you want to install in your home, the Orange County flooring experts at OC Carpet and More are excited to show you the large collection of options available to you. We offer hardwood, laminate, and linoleum flooring options. Depending on your home’s style and your preference, we can recommend the best option for your desired design and function. Other factors to consider when choosing new flooring is what kind of wear and tear will be taking place in your home such as spills and floor play with children, heavy foot traffic, etc. Our Orange County flooring team can help you choose the perfect look and feel for your home, office, or rental. Looking to upgrade your look and feel even more? Check out our tile and stone flooring and wall options as well! Do you love taking off your shoes and relaxing your feet in lush carpeting, or do you prefer a shorter fiber option for your home or office space? 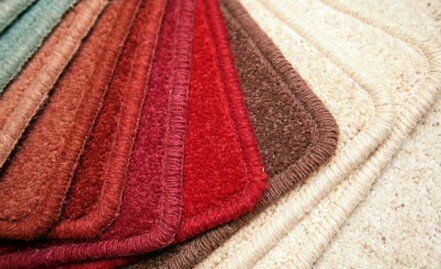 We can accommodate any preference with our assortment of available carpeting styles. Carpet is one of the most common types of flooring and is often chosen for comfort and to help insulate a room against the cold and noise. We understand there are several options – which can seem overwhelming! Our Orange County carpet experts can answer all your questions, and help you choose the best option for the rooms in your home. The professionals on our Orange County carpet team can also professionally install the carpeting you choose which takes all the hard work out of your hands. OC Carpet and More is waiting for your call. You get to work directly with the owner – no pressure sales for commission! We will work hard to earn your business. Call today! OC Carpet and More has been serving Orange, San Diego, Los Angeles and Riverside counties for over 19 years. From installing carpet and flooring, to complete remodels of kitchens and baths, we provide everthing you need to develop your dream into a design plan, and flawlessly make that dream a reality! We have performed our services for many residential, commercial projects, and rental properties, and our goal has always been to work with you and help perfect your ideas, within your budget for best results, and have truly happy clients. Call us for a free consultation regarding your next carpet, tile or stone design and installation needs. You may also visit us at our convenient location in Lake Forest.